In the past, the process of sending and receiving referrals could be somewhat complex for most real estate professionals. Now, that process is being made easier thanks to Real Referrals. Although the commercial real estate industry has made significant strides in the last couple of years in terms of technology, there is still much to be done. Datafiniti has recently released the availability of the first of its kind solution that could have significant impacts for the real estate market. When it comes to real estate, the industry is practically brimming with incredible entrepreneurs who have helped to pave the path to the future. While some of those names may be fairly well known, there are others who often work quietly behind the scenes, yet are some of the most important movers and shakers in the industry. John Gray and real estate private equity are practically synonymous. First beginning Blackstone back in 1992 as a staffer, Gray has authored some of the most well known buy-outs in the real estate industry. Among those purchases included the Hilton at a price tag of $26 billion, making it one of the most profitable private equity deals in industry history. Today, Gray manages Blackstone's real estate operation, which manages assets with a value of $93 billion. It's hardly any secrete that it takes guts to succeed in the real estate industry. Samuel Zell is living proof of that. Zell began his career in real estate while he was still a student at the University of Michigan when he partnered with a local property manager to purchase homes at rock bottom prices, rehab them, and then rent them to local students. After graduating from law school, the enterprising Zell practiced law for just one week before deciding to start Equity Group Investments. While many may have thought his decision to quit law at the time to be risky, Blackstone later purchased Zell's startup for $39 billion. Sternlicht has earned the reputation of King of Hotels for good reason. 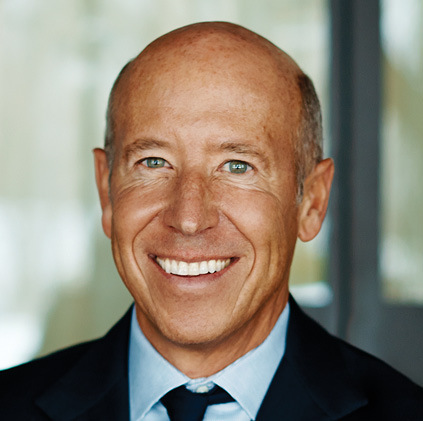 Along with serving as Chairman of the Starwood Capital Group, Sternlicht has also founded Resorts Worldwide and Starwood Hotels. Just a few of the brands he can take credit for include W Hotels, Sheraton, and St. Regis. What's his secret to such success? He isn't afraid to get his hands dirty. Sternlicht's hands on approach to hotel management has proven to be incredibly effective. Case in point: what does a hotel tycoon do when he wants the best crystal chandeliers for his hotel? He purchases Baccarat—as in, the entire company. 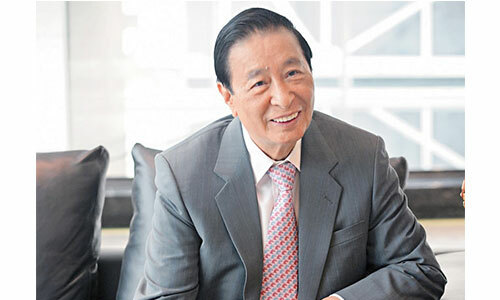 After founding Henderson Land Company in the mid-1970s, Lee Shau Kee became one of the most successful real estate developers in the world. Although he is now in his 80s and has ostensibly handed the company over to his son, he still maintains an active role as chairman. When Joseph Chetrit immigrated to the United States from Morocco a quarter of a century ago, it was for the purposes of growing his family-run textile business. Over the years, he has decided to dabble in the real estate industry, with the result being of the largest deals in the country. Known for being incredibly private, Chetrit has a keen talent for purchasing properties in areas with flexible zoning and then repurposing those properties to generate incredible returns. Among the most notable of his deals was Sears Tower, which became Willis Tower in 2009. As real estate professionals are all too well aware, their jobs can be dangerous. Each time that an agent leaves to show a property, there is the potential that he or she could encounter someone with less than the best intentions. In the past, due to a lack of tech tools, real estate professionals had few options for ensuring their safety. Today, however, that situation has changed. Real Agent Guard now offers a suite of tools developed by security experts for the sole purpose of keeping real estate professionals safe. By taking advantage of the mobile apps offered by Real Agent Guard, agents are able to connect with their own teams as well as family and friends. 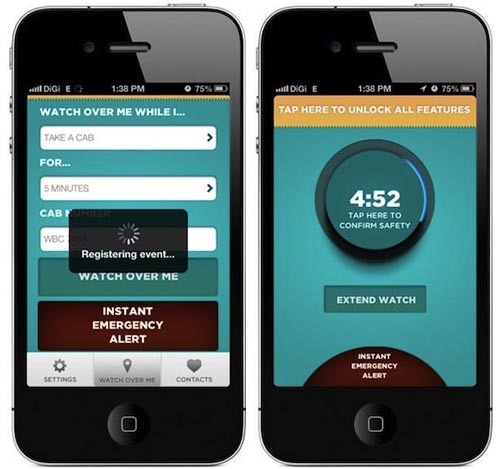 The app includes a patented countdown timer that remains functional even if the agent's phone is turned off or destroyed. This is the only system of its kind currently available and provides an additional layer of security and peace of mind for agents as well as their family and friends. Real Agent Guard also offers an Open House Video Monitoring feature that makes it easy for real estate professionals to utilize a laptop equipped with a webcam in order to set up a mobile security camera. Since open houses can be one of the times when agents are most vulnerable, this feature can help ensure that agents remain safe while still working efficiently. Agents are also able to watermark their social profiles using a Real Agent Guard banner, thus deterring any criminals who might attempt to research agents for nefarious purposes. The app also includes an Agent Safe Harbors system that gives agents the opportunity to locate convenient locations where they can meet prospective clients safely. With this feature, agents no longer need to worry about the dangers that could befall them by meeting privately with new clients. To take advantage of the features included with Real Agent Guard, real estate professionals will need an enterprise license, which costs about $1 per month. Family and friends are also able to monitor up to four agents for less than $5 per month. Pricing is kept extremely affordable thanks to a $250,000 investment made by Xcelerate Capital. As a result, it is possible for agents to ensure their safety without spending a lot of money to do so. Given the many security concerns that agents face on a daily basis, Real Agent Guard provides a convenient, sensible solution. Designed by security experts specifically with real estate agents in mind, Real Agent Guard provides solutions for the unique situations in which agents often find themselves. Users will find that the entire system was designed for ease of use. All it takes is pressing a single button in the app to arm the system. Real estate agents who would like to give the system a trial run can take advantage of a free product demo. Property management can be lucrative, but it can also be time-consuming. In the last couple of years, a number of technological tools have been introduced to the real estate industry that has made it easier to do everything from find investment properties to finance those properties. Now, CCNZ has launched a new app that gives landlords the opportunity to manage their properties without ever leaving their couches. Clearly, this segment of the industry needed to be filled. Acting as an iPhone/iPad app, Property Buddy has become so popular that it is now the #1 top grossing business app. Featuring an intuitive dashboard, the app allows landlords to log rent payments, keep track of payment history, show all upcoming rents, set up recurring expenses, log expenses, take and store photos of receipts, set reminders for events, email tenant rent receipts, export data to Excel, email overdue notices to clients, and even phone or SMS tenants with a single click. Landlords can also generate PDF reports, which could prove to be helpful for documenting expenses for tax purposes or even providing financial information for prospective investors. Whatever a landlord needs to do to manage his or her rental property can now be done easily while relaxing on the couch with an iPad or other device in hand. The primary goal behind Property Buddy was to give landlords a one-stop solution for managing their properties easily and with a laidback approach. This app was literally designed to give landlords the opportunity to manage their properties from their couches or even their beds, if they like. According to the firm, 10 years ago, everyone managed business matters on a desktop computer. Today, that trend has shifted to mobile devices and tablets. As a powerful platform, Property Buddy is set to provide the same transformation for the property management sector. Because of the suite of features offered by Property Buddy, landlords and property managers can take advantage of the opportunity to know precisely what is going on with each managed property regardless of where they may be. This can help to free up landlords tremendously. For instance, even if a landlord is on vacation or traveling out of town for business, he or she can check the status of payments, log expenses, or send a late notice to a tenant who has not paid the rent yet. Ultimately, this can help landlords save time and work more efficiently. In a business in which time is most definitely money, landlords and property managers may find that Property Buddy can also help improve their bottom line. Property managers who are interested in test-driving the app can take advantage of a 12-day free trial. The cost for the app is subscription based, requiring an annual subscription. Costs vary based on the number of properties managed by the user and begin at $6.99. In a world in which it seems as though everything has gone digital, more consumers are now increasingly relying on online reviews to obtain as much information as possible prior to making a purchasing decision. Therefore, it only stands to reason that consumers would also look for online reviews prior to making a decision about what is inarguably one of the most important decisions of their lives; that of buying or selling real estate. Yelp has rapidly become the most popular review site online for all types of businesses. In fact, Yelp is often now the top search result anytime that someone types in the name of a business. Yet, the problem with Yelp is that it is not exactly specialized to one particular industry. Realtyps is setting out to change that by providing a Yelp-type review site specifically for the real estate industry. When a buyer is considering purchasing a property, he or she naturally wants to obtain as much information about that property as possible. Yet, the reality is that only so much information can be gleaned from the Multiple Listing Service. The only way to obtain the type of information that a prospective buyer or tenant really wants to have is via those who know the property best, including those who actually viewed the property. Realtyps provides a wealth of information, including data regarding the number of people who have seen the property and of that number, the percentage of people who would actually recommend that property. The site also provides information regarding what users believe the property to actually be worth. For buyers who have experienced buyer's remorse in the past after purchasing a property only to realize that they may have overpaid, this type of information can prove to be highly valuable. The site allows users to search for properties by address, zip code, city, or even a combination of those elements. In addition, users can drill down results to a radius of between one and 10 miles. An extensive property description of each relevant property provides users with a wealth of information regarding that property, including any special amenities that may be available for that particular property. Each property is also awarded with a Typscore that helps users to quickly compare properties and determine which properties may be most suitable for their particular needs. Users are also able to take a photo of a subject property and even submit a review of that property. For buyers who are searching for real estate tips submitted by real people rather than real estate professionals with a vested interested in marketing that property, Realtyps could provide the completely unbiased, third-party opinion they desire. As the marketing of real estate becomes increasingly digital in nature, sites such as Realtyps will prove to be even more important to providing prospective buyers and tenants with the information they need to make an informed decision. At one time, when real estate professionals wanted to capture interior spaces for the purposes of offering virtual reality, the process required the use of tens of thousands of dollars in equipment. Today, that is no longer the case, thanks to Matterport. With Matterport, real estate professionals are able to take a deceptively simple camera to create VR tours of their properties without the need to spend a small fortune on bringing in designers and photographers. While the company has experienced incredible success since first launching its cameras, Matterport has since plunged a massive amount of funding into new software technology that will blend images together for enhanced VR. Over the last year, Matterport has gradually shifted its focus from VR cameras to mobile. In fact, the company has already reached a partnership agreement with Project Tango, a Google VR mapping project, that makes it possible to leverage the cameras in smartphones as scanners. Under the new plan, VR sensor hardware would be provided by Intel, while Google would supply the power necessary for scanning software. Matterport would handle the technology required to stitch images into virtual reality scenes. Matterport has already reported it plans to hire a team to focus on making mobile VR scanning a reality. That is in large part due to a round of Series C funding to the tune of $30 million that was led by Qualcomm Ventures. As smartphones and other mobile devices become increasingly indispensable, Matterport and its VR scanning technology could prove to be capable of making a tremendous impact on the real estate industry in the future. If Matterport is able to turn its concept into reality, real estate professionals could be relying less on flat photos and videos in the future and utilizing 360-degree views in order to show clients thousands of miles away what it is really like to be inside a property. The new technology could also make capturing 360-degree images far easier and less expensive. While Google recently demonstrated its Jump camera system, which is capable of taking 360-degree videos, speculation has run rampant that the rig could come with an exorbitant price tag. With a new focus on building mobile apps, Matterport is making 3D VR scanning a more affordable reality for real estate professionals at every level. Currently, the technology is based on the use of smartphones with 3D sensors, which are not yet mainstream. Even so, Matterport is clearly betting heavily that such technology will grow commonplace in more devices. In addition to its flagship camera, Matterport also provides a cloud-based service that stitches images together to create 3D environments. In order to view the content, users must have VR headsets or use Matterport's browser-based app that makes it possible to view the content on mobile devices and laptops. As Matterport continues to streamline its technology, the way in which real estate professionals show properties could change dramatically. Around the country, a number of real estate tech startups are transforming the real estate industry. While not all such startups have experienced phenomenal success, below are five that have experienced rapid growth and changed the way the real estate industry does business. Recognizing that one of the most significant challenges in selling under-construction properties is the fact that prospective tenants and buyers are not able to actually see the space, Manhattan-based Floored set about changing that. Using proprietary technology able to take high-res, 3D scans of exterior and interior spaces, Floored is able to provide hyper-realistic virtual tours. By deploying interactive technology, this revolutionary startup gives users the ability to see how a space would look with depth, lighting, and even with furniture moved around. Compared to traditional two-dimensional virtual tours, Floored's tours are far more realistic. Also based in Manhattan, Honest Buildings is an automated bid management and procurement workflow platform for building owners. Honest Buildings' tools bring order to a process that is, by nature, complex and chaotic; they centralize all of the communication and workflow tasks that happen within the procurement process, and then provide critical data that is incredibly difficult to gather without a technology solution. Honest Buildings customers use the platform’s pricing intelligence, organizational efficiency, and risk mitigation to make better decisions that lead to better real estate project outcomes. Launched by Benjamin and Daniel Miller in 2012, Fundrise started out with a simple goal: giving communities the ability to shape projects while taking advantage of financial benefits in the process. The Washington, D.C.-based company quickly realized a significant flaw in most real estate crowdfunding sites; the fact that most such sites typically only work with accredited investors. Fundrise approaches things a bit differently by handling the burdensome task of registering projects with the SEC and actually taking those projects public. As a result, unaccredited investors are able to participate. Yet another New York-based startup, Compass has attraction millions of dollars in fundraising. The firm has put the funds toward making it easier and less expensive for consumers to locate apartments in New York City. By utilizing in-house neighborhood specialists along with a listings website, the company gives users the ability to search listings online, schedule appointments to see properties, and even have their leases executive directly online. Not just another crowdsourcing firm, CompStak takes a novel approach by offering their site free of charge to brokers. When brokers wish to gain access to a comp, they simply submit information on their own listings. By sharing and exchanging market stats, participating brokers are able to provide greater access to more data. While CompStak provides free access to agents, the firm monetizes its site by selling data to real estate investment trusts, institutional investors, private equity firms, and hedge funds. Property management can be a challenge and a chore for most landlords. Collecting rent is nice, but the process of doing so along with managing all of the financials related to rental properties can be complex and time-consuming. A new property app is now making it much easier for landlords to manage their rental properties. The Property App is specifically designed for use by landlords to assist them in managing their rentals on their own. Among the features included in the app is the ability to prepare and sent rental invoices to tenants, track related expenses, track rental payments and tenant balances, and even export and share financial data. With this app, landlords gain the ability to keep their rental property businesses more easily organized. Everything is kept up-to-date and can be easily accessed from any location and at any time. Landlords can rest assured that all relevant property management information is always available in their pocket. There is no need to return to the office to check on something or send an invoice. Landlords can handle everything related to managing their properties while they are traveling between properties or even while they are on vacation. As a result, landlords can save a significant amount of time while taking advantage of increase efficiency. In addition to a free version, there is also a paid personal Edition version. With the Personal Edition feature, landlords can benefit from a one-time purchase and the inclusion of an unlimited number of properties and rental units. By comparison, the free version of The Property app is limited to only two properties. In addition, the Personal Edition also allows an unlimited number of tenants and rental agreements. With the free version of the app, landlords are limited to one tenant and/or agreement. Landlords can also export revenue and cost details. Additionally, landlords can also attach multiple property photos as well as photos of rental agreements. Photos can also be transferred to and from a landlord's personal Dropbox folder. The free version only allows the exportation of data for the current month. In addition, landlords can use the app to backup and restore data to and from Dropbox. This can be particularly beneficial if landlords wish to move data between devices to ensure data is not lost if their device should be lost or stolen. The app also contains a number of other helpful features, such as the option to customize expense categories, customize payment types, and even customize invoice templates. For instance, landlords can opt to send invoices to tenants via messages or email. The Property App also features a Tenant Initial Balance that helps landlords to account for a tenant's balance when they first begin using the app. For instance, if the tenant currently owes rent, the landlord simply enters a negative initial balance. This ensures that from the moment a landlord begins using The Property App, their tenants' balances are completely accurate and up-to-date. Technology in the commercial real estate sector has been moving at an incredible pace in the last few years and a number of new tech startups are driving much of that innovation. Among those startups is Compass. While the company was launched just 18 months ago, it has already generated an impressive amount of attention. The real estate listing app is available for both Android and iOS and is designed to eliminate many of the challenges that New York consumers experience in the process of trying to rent or buy property. Having already raised approximately $73 million in two rounds of funding, Compass was named as the Mid-Sized Business of the Year by the Manhattan Chamber of Commerce. 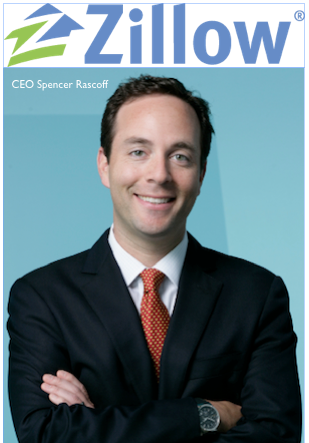 Since its initial launch, Compass has brought more than 200 brokers onboard. Users are able to benefit by eliminating the need to search through potentially phone online listings and instead search through verified listings. By pulling in data from a variety of different sources and compiling that data into a centralized database, Compass is providing a sense of clarity to the real estate industry that has previously been missing. Yet another startup that is changing the face of the real estate industry is Tenant Turner. The Richmond-based company focuses on providing software for property managers to assist in screening tenants and scheduling showings. Initially, the company provided only services to assist property managers and landlords in screening tenants. After a healthy infusion of seed funding, Tenant Turner has since expanded to provide additional services, making it easier for property managers and tenants to manage their business operations in a more streamlined manner. While many of the real estate tech startups today focus on the landlord/property manager sectors, other startups focus on assisting agents and brokers. Among them is SmartZip Analytics, a real estate tech startup providing predictive analytics to assist real estate agents in determining which property owners are most likely to sell. Agent Ace works as a type of matchmaking service utilizing historic home sales data to match sellers and buyers with the best agent. As a result, buyers and sellers no longer need to spend exhaustive amounts of time in research prospective agents and brokers. Over the past decade, there has been a tremendous rise of real estate firms, which has made it easier for consumers to search for properties for sale and for investors to seek out and take advantage of investment opportunities. During the first three quarters of last year alone, venture capital firms funneled more than $118 million into real estate tech-related startups. As the real estate industry continues to clamor for technological breakthroughs, significant opportunities exist for the expansion of startups providing an array of services aimed at the real estate industry. With more and more real estate tech startups coming online at an increased frequency, the time is ripe for significant changes to occur in the industry. It's a little secret that LinkedIn can be a powerful place to make business connections. LinkedIn Groups can also provide real estate professionals with the perfect location for sharing and staying up to date on the latest tech updates as they relate to the real estate industry. 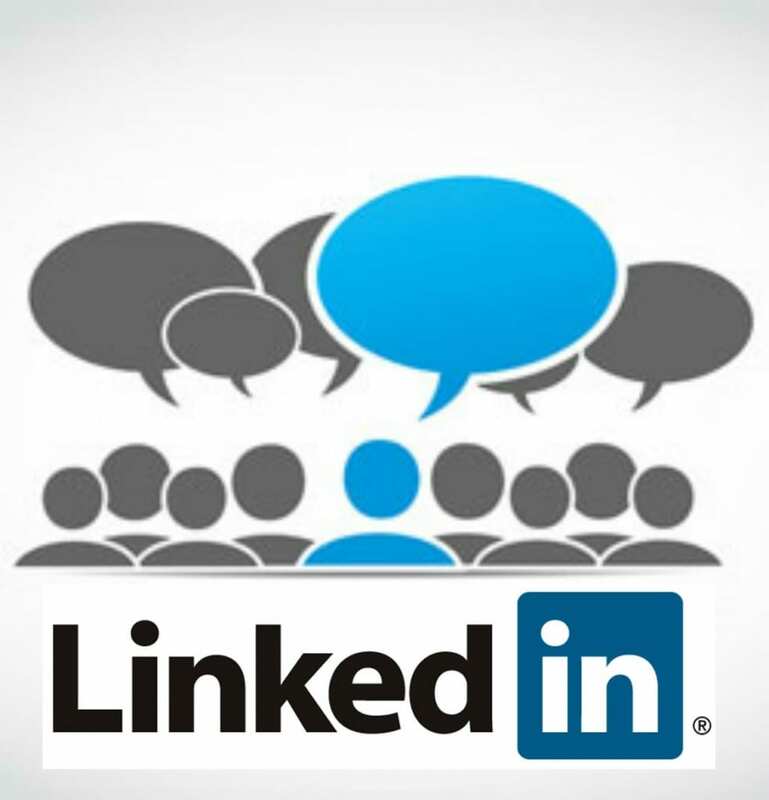 If you are not already active in the following LinkedIn discussion groups, now is the time to join. The Rook's Real Estate Tech Talk is the ideal place for sharing tech info and how it can help to improve your real estate business. If you're looking for a place where your inner geek can feel at home, this is it. With this group, you will find ample discussion regarding the latest technology trends and how those trends will affect buyers and sellers. 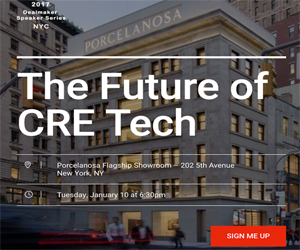 All real estate professionals are invited to join and participate in this group to stay up-to-date on how tech will transform the real estate industry. This is a private group, but it is open to all. REASN International is aimed at assisting real estate professionals improve their businesses through the increased use of online tools. In addition, the group acts as a type of soapbox to discuss the latest real estate tech trends. Established to explore how tech matters apply to the real estate industry, this group focuses on a wide gamut of tech issues, including online marketing, social media, search engine optimization, website design, mobile device support, and more. Tech Matters for Real Estate is open to anyone who is involved in the real estate industry and is intended to act as a resource. The group is moderated, which means that sales pitches are not allowed and only posts that are relevant to the intended subject are allowed. Given the rapid pace at which technology is changing, real estate professionals need a place where they can gather to stay on top of the latest changes. This group provides an educational and innovative platform for real estate professionals to stay on top of and learn how to implement emerging technology. Only the latest tech will be reviewed with this group and will include both software and hardware. At the Real Estate Tech Hub, real estate professionals are able to gather to discuss the latest information related to the juncture of technology and real estate. Along with supplying the latest news, the Real Estate Tech Hub also provides real estate professionals with the opportunity to make new connections. This group is open to all real estate professionals, thus creating a forum where everyone can gather together to share their own experiences using the latest tech tools, websites, social media marketing, and mobile apps. As a result, members are able to stay better informed regarding the use of technology in real estate and avoid wasting time on products that do not work. The real estate industry, like so many other industries, has experienced a tremendous amount of change thanks to the introduction of innovative apps that make it possible to do more in less time. While many of these apps are specifically designed to help agents be more productive, other tools are beneficial for brokers as well as sellers, buyers, and investors. Regardless of what your role might happen to be in the real estate industry, these apps can help you to be more efficient. With this app, you can quickly and easily scan documents directly using your mobile device, making it ideal for use in the field or any time when you do not have access to a scanner. Rather than rushing back to the office to transmit documents, you can instead get the job done while you are on the go. With the availability of cloud storage, this tool will also allow you to access vital documents from any location at any time. Cam Scanner is available on both Android and iOS. 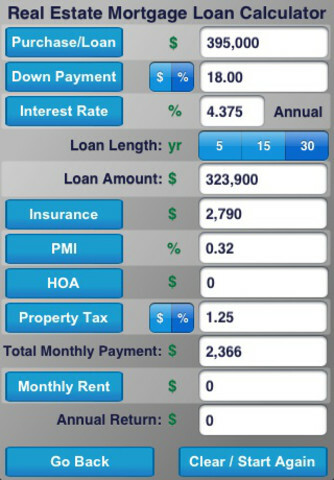 Considered the best smartphone app for realtors. Based on a subscription-based model, this tool gives agents the ability to transmit to do lists to their clients to guide them through pre-approval and purchasing process. Pricing for the service is based on the size of your business, which makes it scaleable for rapidly growing businesses. Edits to documents can be done privately until a user is ready to share documents with other users in their loop. The mobile-friendly version of this tool, which features a monthly subscription model, is designed to work on both tablets and smartphones, providing users with the ability to do everything from manage workflow to convert PDFs. Cloud storage is also integrated with this app, making it easy for users to access their documents more conveniently from any location. With an increasing number of buyers and investors now checking sites like YouTube for videos of properties they are considering purchasing, it has become critical to offer high quality videos. With tools like Directr, you can edit footage shot with the phone on your camera and transform even novice videos into professional looking videos. Staying safe is one of the most important concerns of any real estate professional when out in the field. Watch Over Me allows real estate professionals to set a time period and then will automatically contact a list of family and friends if you do not check in when that time period expires. This app will also allow you to add a picture or notes. Among the responsibilities of real estate professionals is to assist clients in obtaining financing estimates. Real Estate Calc gives real estate professionals the ability to provide clients with instant loan qualification income estimates, mortgage payment estimates, and other information. This tool can even be used for calculating potential commissions and can be used on both the iPad and iPhone. In the last two decades, the world of real estate has undergone a significant number of changes, including the implementation of technology that has made it possible to be in two places at once and leverage an ever-growing global audience. While the integration of real estate technology did seem to get off to a slow start, decision makers within the real estate industry are now becoming increasingly comfortable with the vast amount of new tech available today and have even begun to embrace it. Today, the real estate industry is becoming increasingly driven by such trends as data mining, social media, and predictive trend analytics. No longer is it necessary for real estate professionals to sort through mounds of paper or handle projects manually thanks to technology that has made it possible to go completely paperless. New tech products like Matterport are giving prospective investors and buyers the ability to conduct virtual walk-throughs from anywhere in the world, while other real estate tech products like DocuSign make it possible to sign and send documents via the cloud. Based on the rapid rate of growth technology has experienced in the real estate industry over the past year, it certainly does not seem as though it is a trend that will slow anytime in the near future. In fact, the increasing presence of tech in the real estate industry has dramatically changed the way in which most real estate professionals conduct every aspect of their business. With the increasing availability of tech-enabled tools, more and more brokerages are now moving everything from buying to selling to investing online. As the rise of real estate technology continues to increase, real estate professionals who have had the foresight to integrate such tools into their businesses find that tech gives them a strong competitive advantage. By implementing such tech as social media, brokerages now have an improved understanding of consumer preferences, thus setting the stage for targeting prospective customers and investors in a more accurate manner. It is not just consumer relations that are improved by real estate tech, either. Real estate professionals are also able to benefit from improved reporting capabilities, advanced analysis, and speedier access to higher quality information. Advances are also not limited to agents and brokers. Sponsors, investors, and developers are also able to benefit from new real estate tech through the availability of unrivaled access to data and analytics. Not only does such tech make it possible to make better informed decisions based on more accurate information, but decision makers are also able to respond to deals more rapidly, a vital factor in an industry which is known for changing rapidly. While the real estate industry may have gotten off to a slow start, real estate professionals are now embracing and eagerly implementing new technological innovations that are dramatically reshaping the space. This is one of the most exciting times in the history of the real estate industry, with new changes most certainly on the horizon. In the last few years, the real estate industry has experienced an explosion of new tools that make it easier and faster to conduct business. Below are five of the best tech tools for real estate professionals. In any real estate transaction, there will naturally be a massive amount of documentation. In the past, trying to maintain such documentation in traditional manila folders could be a hassle. TransactionDesk makes it possible to manage all of the files related to leases, sales, and listings in a convenient online form. Not only are digital forms easier to manage but they are also more ecofriendly. In addition to providing a complete file history, TransactionDesk also provides comprehensive visibility from any device with Internet capability. Real estate professionals can also take advantage of contact, task, and calendar management features on TransactionDesk. For more information check out this webinar. Forget simply scanning existing forms. Instanet Forms is the first real estate forms service available for use on tablet devices, such as the iPad. 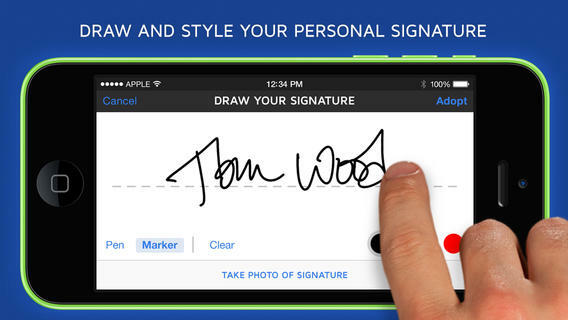 Operating completely online, this tools makes it easy to edit forms on the go. There are absolutely no restrictions. Users can even take advantage of copy and paste function. A clause library is made available to provide users with convenient access to standard contract language and provisions. Forms developed on Instanet Forms can be printed, emailed, and faxed. Users are notified whenever their forms are accessed or signed. Whether the property in question is residential or commercial, there is often a need to copy keys for agents and brokers. The problem is that doing so can compromise security. 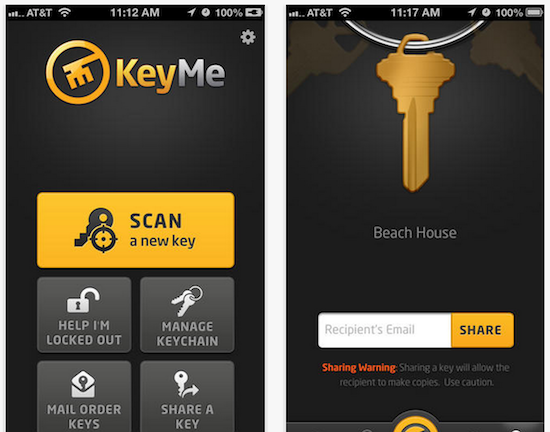 With KeyMe, real estate professionals are able to copy and distribute keys in a secure manner without the need to leave their office. This tool uses an iPhone app for scanning keys into a smartphone. The scanned file can then be uploaded to a secure database and a new key will be cut and transmitted to designated recipients within three to five business days. KeyMe kiosks are now becoming increasingly available in select cities, providing users with the ability to scan and print keys without the need to wait. 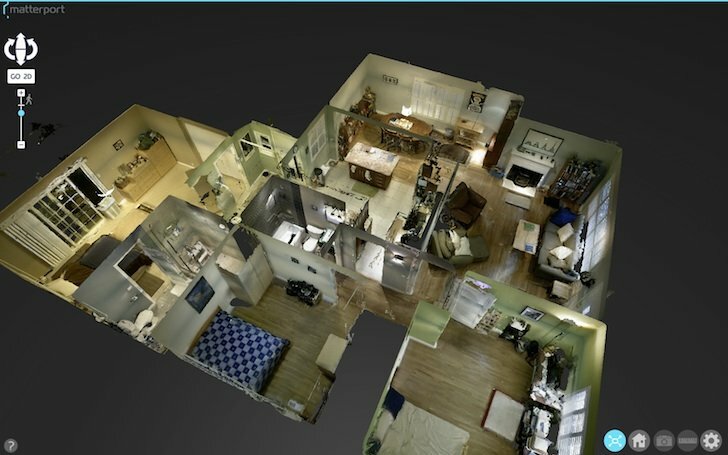 Taking advantage of virtual tour capabilities, Floored gives users the ability to tour properties before they are even constructed. Ideal for use by brokers, agents, and developers, this revolutionary tool helps real estate professionals to understand and even represent a space while it is still in the planning phase or while still under construction. Rather than being limited strictly to a flat rendering, Floored makes it possible to actually move through a space, albeit virtually. Taking cloud storage a step further, DocBox provides real estate professionals with convenient document management, including the ability to access important documents from any location in the world at any time. Thanks to the capabilities provided by DocBox, real estate professionals are able to convert documents to PDF files and then email them directly to clients and even print practically anything from their computer directly to any fax machine. Looking for a building or construction app? Calgary Window and Door Guys created this handy infographic that outlines the top 10 most useful building and construction apps.